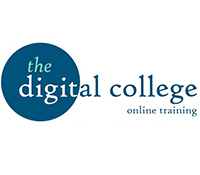 In association with The Digital College, NCTS now also offers online training courses to support individual learners and organisations training needs. This course is designed to give the learner a good understanding of how to safely undertake a manual handling operation. It covers topics including: what is manual handling; the legal requirements behind manual handling operations; risk assessment; manual handling techniques; etc. This course gives the learner a basic understanding of the regulations that have come to be known as REACH. That is, the registration, evaluation, authorisation and restriction of chemicals. This course provides employers and employees with a general understanding of what is needed to comply with legal requirements and health and safety best practice when working with asbestos-containing materials. This Level 1 Award Health and Safety qualification is aimed at learners who currently work, or want to work, in construction. Successful completion will enable you to move on to take the CITB health, safety and environment test, and then apply for the new Construction Skills Certificate Scheme (CSCS) Green Card. This card allows access to construction sites in the UK as a non-skilled worker. COSHH stands for Control of Substances Hazardous to Health. This course aims to explain all the rules, regulations and good practices which cover the laws relating to the common hazardous substances found in most workplaces. This course combines The Digital College courses “Level One Award in Health and Safety in a Construction Environment” and “Preparation for the CITB health, safety and environment test” to enable you to attain a CSCS “Green Card” as quickly as possible. Nothing extra to pay; all training and exam costs included! You just pay for the card. Duration: Est 8 hours online study Retakes: Rebooking allowed. This course will provide you with everything you need to be an effective Fire Marshal in your workplace. The aim of this course is to help those working with abrasive wheels do so safely and responsibly following nationally recognised safe practice guidelines. This course is also suitable for those who are responsible – i.e. employers – for the maintenance of abrasive wheels and the grinders they are attached to, to ensure they take all necessary precautions to minimise the risk of accidents in their places of work. The aim of this course is to help those individuals who have been assigned the role of a traffic marshal to understand and carry out their responsibilities in accordance with nationally recognised safe practice guidelines. This course is designed to provide an introduction to Mental Wellbeing in the Workplace. As well as explaining what is meant by the terms “Mental Health” and “Wellbeing”, the course aims to raise awareness of common mental health issues and provides suggestions of what to do if/when working life is affected by a manageable mental health condition, such as stress, anxiety, low mood and depression. This course is designed to provide practical guidance for people whose working life is being affected by a manageable mental health condition, such as depression, anxiety or stress.